For the first time ever, the Chevrolet Suburban will be offering a V8 engine for the 2019 model year. The 420-horsepower V8 will be available with the Suburban’s all-new RST Performance Package. “The RST Performance Package made its debut on the Tahoe RST last spring, and the response from our customers was overwhelmingly positive,” said the director of Chevy Trucks Marketing and Advertising, Sandor Piszar. “In fact, Tahoe RST with the Performance Package is the fastest-turning Tahoe model, and we’ve received customer requests to offer the same performance and power to the Suburban RST. 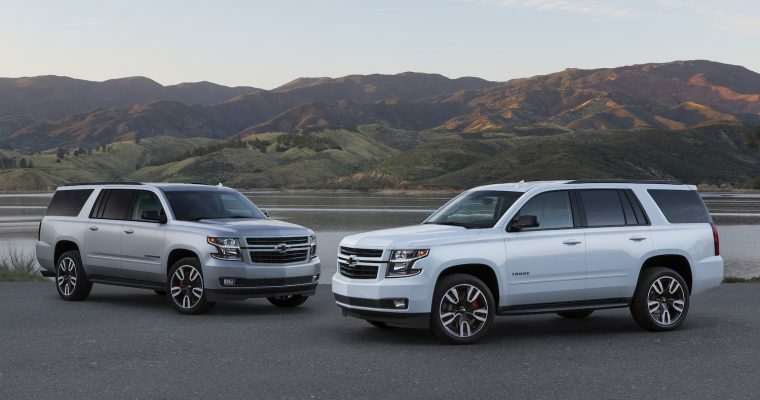 The 2019 Suburban RST Performance Package comes with the 6.5-liter V8 engine, which gives off 420 horsepower and 460 lb-ft of torque, as well as a Hydra-Matic 10L80 10-speed automatic transmission. With the RST package, your Suburban will sport a maximum towing capacity of 8,100 pounds. The package also includes Magnetic Ride Control with performance calibration and 22-inch wheels. The Performance Package has been upgraded since its introduction last year, with the addition of a body-color grille and gloss-black accessories like Chevy bowties, window trim, and roof rails. Chevy removed the majority of the package’s chrome trim in an effort to give the vehicle a sportier look. You can also customize your performance package with a handful of features such as a Performance Dual-Side Exit exhaust system and a performance brake package. The 2019 Chevrolet Suburban, including the RST Performance Package, will be available in dealerships later this summer.